Are you looking for an air duct cleaning cost that is affordable enough but not compromising quality over pricing? 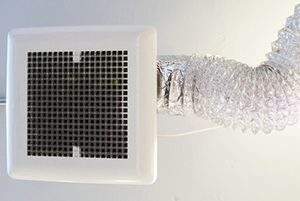 The ducts are the heart of ventilation system in your home, and you depend on this system to provide clean air that is free of air pollutants and contaminants like dander, dust, and chemicals. Air ducts need proper cleaning from time to time, and when you want to get your air ducts and vents cleaned, you want to ensure that you get it done right. Hiring the services of an air duct cleaning company is the recommended choice if you want to make sure that your residence is as healthy and clean as it possibly can be. Air Purification Technologies is your solution for cleaner indoor air and cleaner ducts. Air Purification Technologies is a full-service indoor air quality residential, commercial, and industrial cleaning company that is committed to providing the best cleaning of HVAC air conveyance systems using the most advanced technology and tools available. Our success and experience in air duct cleaning and indoor air quality inspections is a testimony to our commitment to our clients. We provide duct cleaning service for both naturally contaminated, smoke and fire damaged HVAC systems as well as dryer vents and exhausts. We are committed to the ethical quest of proper cleaning and sanitizing of HVAC systems using the latest in technology and equipment. At Air Purification Technologies, our goal is to secure and keep every client by creating unanticipated value for everyone we provide our service to. We believe our technicians are a direct reflection of our company; that’s why we strive to employ only the skilled, experienced, and qualified professionals in our company. You can count on us for all of your air duct and vent cleaning needs. Residential and commercial duct cleaning are the core of our services. 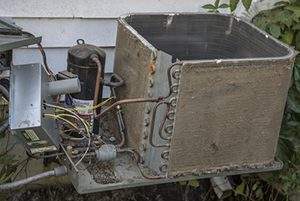 As your air conditioner circulates the air in your house, it blows various kinds of dirty particles (dirt, dust, dander, etc.) out into the air that you and your family breathe. Give yourself and your family cleaner air indoors with expert duct cleaning from Air Purification Technologies. Our technicians are fully licensed, insured and qualified to leave your ductwork clear of any dirt or debris. Using the latest air duct cleaning technology, our technicians will provide you with an excellent service you can only expect from Air Purification Technologies. Commercial buildings ducts are a perfect environment for thousands of tiny particles that heating, ventilation, and air conditioning systems blow a lot of this into the air of the building. Some older commercial buildings have outdated ventilation while new ones are air tight, Air Purification Technologies has a solution for both cases. Our professional quality standards along with state-of-the-art technology and our trained technicians give us the advantage to provide our customers the best commercial air duct and vent cleaning service. We work professionally to improve the quality of air in your commercial space without disturbing your work in any way. 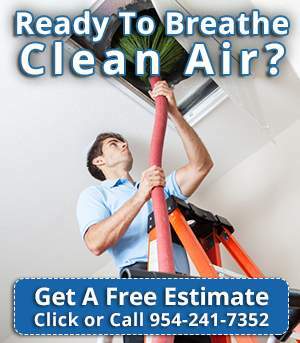 For any more questions regarding your home or commercial air purification needs, give us a call at 954-241-7352. Call for your FREE estimate now!